That adorable face you see above belonged to one Stephen Malkmus, back when he was a junior in high school. It comes from a Santa Barbara high school newspaper profile of Malkmus, presumably the first of many, many Malkmus profiles to come. 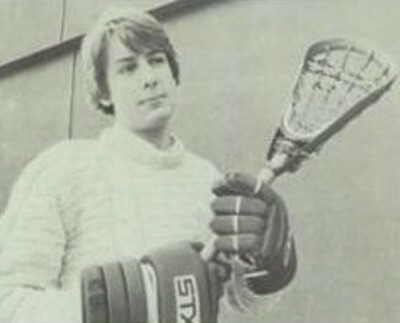 In this one, we learn that he enjoys playing both soccer and lacrosse, the latter of which is “a sport similar to hockey” and which Malkmus considers “better than football because there is more skill involved.” Malkmus also plays bass in a punk band called Straw Dogs, which is an awesome name for a high-school punk band. He likes “seeing the people at the concerts getting their aggressions out to the music.” In future years, he’ll watch people get their aggressions out by arguing over who best appreciates his band’s B-sides. This little gem comes to us from the Matador Press Twitter account and Greg Johnson. Check the whole thing below.